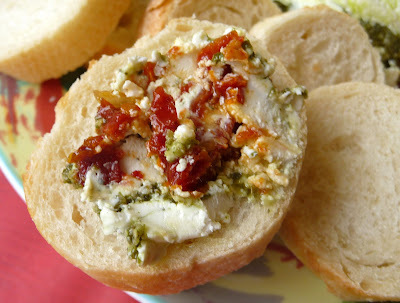 I have been waiting for a chance to make this appetizer since the first time I saw it three months ago. So my family Christmas party this year was the perfect opportunity to try this out, since I knew it was something my family members would appreciate. It really is a great appetizer, since its easy and quick to put together and doesn't require any preparation once you're ready to it eat (expect for a drizzle of olive oil - but that doesn't count.) I love the combination of pesto and tomato and cheese (actually I have another amazing meal using these same ingredients coming up soon!). My family really enjoyed this and I can't wait for a chance to make it again! Directions 1. Line the inside of a 2-cup bowl that is about 4 inches across the top with plastic; let the ends extend over the sides a few inches. 2. In a mixing bowl, mash the goat cheese and the cream with a fork and season with ¼ teaspoon salt and a few grinds of pepper. 3. Spoon about one-third of the cheese into the lined bowl and pack it into an even layer. Spread the pesto almost completely to the sides of the first layer of cheese. 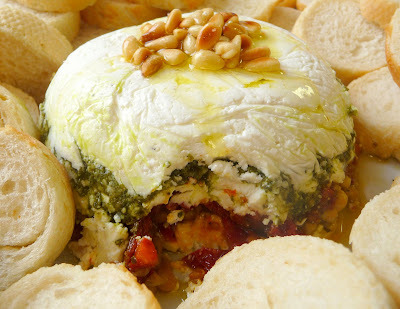 Top with another third of the cheese, the sun-dried tomatoes, and all but 1 tablespoon of the pine nuts. Top with the remaining cheese. Pack down, fold the plastic over, and refrigerate for at least 30 minutes (or overnight). 4. Half an hour before serving, take the bowl out of the refrigerator. Invert the terrine onto a plate, drizzle with a little olive oil, and let sit for a half-hour to warm up. Sprinkle with the remaining pine nuts, season liberally with pepper, and serve with bread, crackers, etc. I'm so glad you and your family enjoyed this! 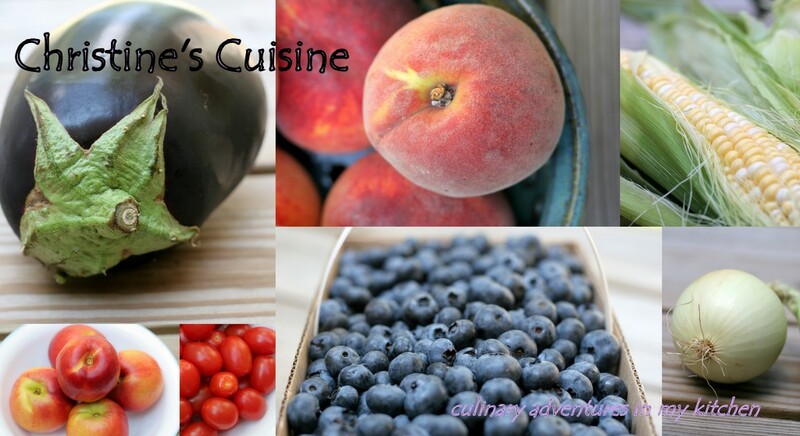 I'm looking forward to seeing the meal you made with similar ingredients, because I love this combination too! Wow what a combination. I like it! This was a great appetizer. I think it would also taste good on pita bread.